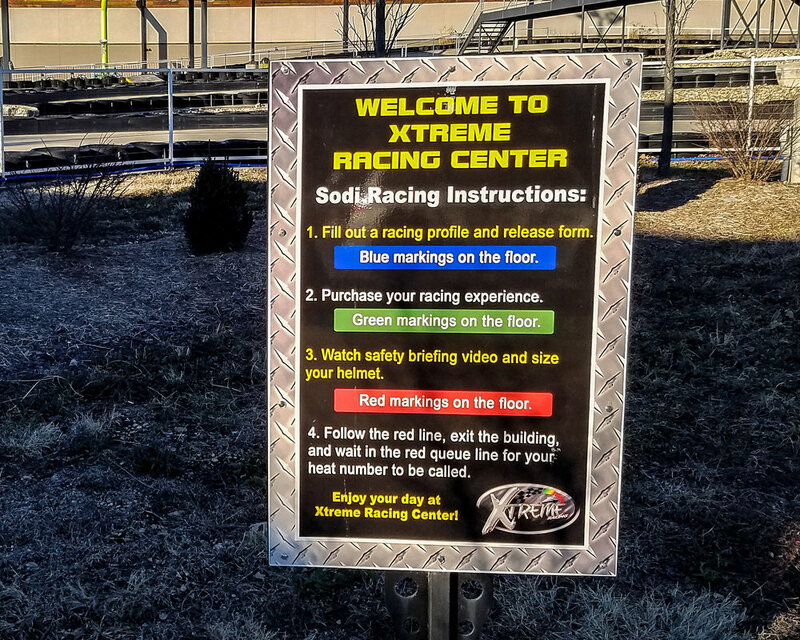 When we were gifted tickets to the Xtreme Racing Center in Branson, we were super stoked to check it out! 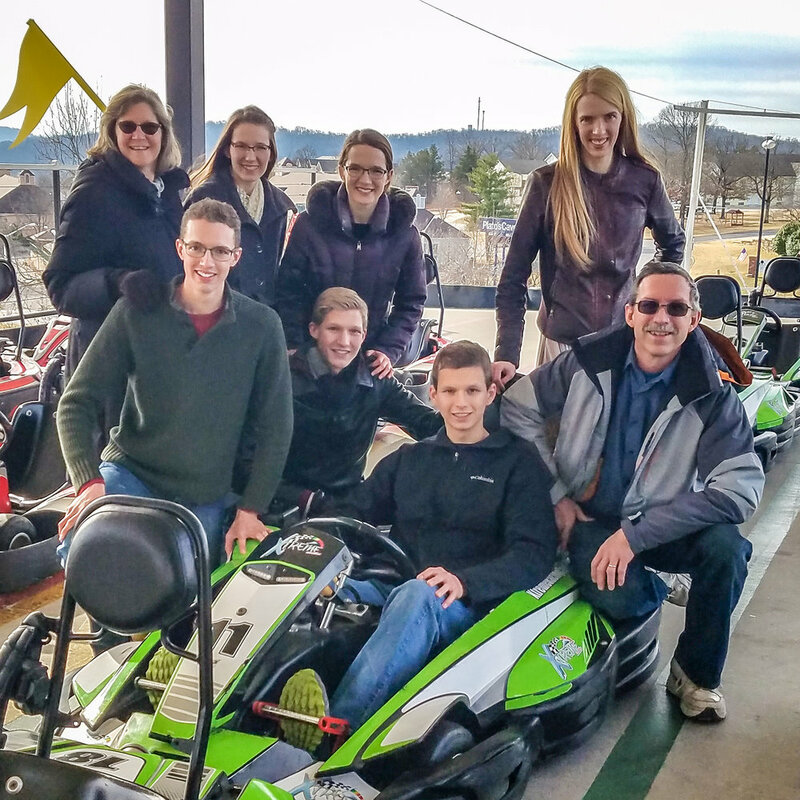 We had never done go-karts as a family, and we heard around town that these are the fastest ones! Wonder why the helmet? When their fastest carts reach speeds of 40 miles per hour, you need one! When arriving at Xtreme Racing, we were met by these signs telling us exactly what to do… as long as you can follow simple instructions! It was cold on the day we went, but during the summer, I’m sure Cold Stone Creamery would look awfully inviting after some fast races! We each had been gifted a 2-race package from our friend, and that is an important fact: since we were first-time racers on their track, we had to do a qualifying race with their slower karts before doing our second race on their fastest karts. The races are 6 minutes each and it feels like a long time! Before you can race for the first time, you need to fill out a quick information and waiver form. On to the track! Let’s race! After all, that’s what we are here for, isn’t it? One BIG tip I want to make sure to mention: go with a group!!! The best part of racing is trying to pass people and the thrill of trying to keep your lead. If you do go by yourself, it will truly be a race against the clock as you try to shave on fractions of a second on the curves. One other thing to note: since these are high-speed karts, NO bumping other people or bumping the barriers is allowed! It’s all about control at Xtreme Racing. I’m sure all of you are wondering…. WHO WON??? Dad won the first race in the slower karts (below), and Luke won the second race in the fastest karts (above)! After we were done with our races, we handed in our helmets and the sanitary black helmet sleeves, and they gave us print outs of our races. Now it’s YOUR turn! What’s your time? What’s your speed? Who’s gonna win the next race? Grab some of your racer friends and get the adrenaline pumping with a close race, lots of passing each other, and some ice cream afterwards to celebrate! One other note: when you get into your own car after the race, make sure not to drive it like a go-kart! 10 AM - 9 PM Daily - Operating hours are weather permitting and subject to change without prior notice.